Banks can never serve all the public efficiently and well through a structure that requires a physical bank presence. But banks also have the challenge to recreate a brick and mortar structure that is seamless with mobile/online experience. 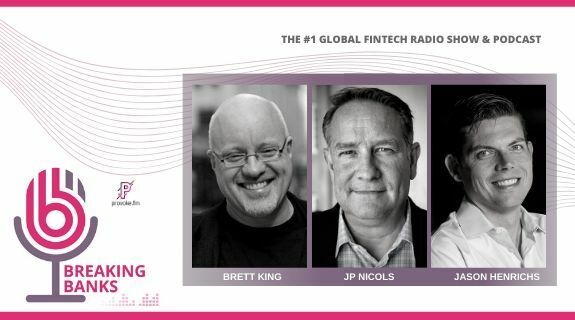 Today Brett is hosting J. Michael Beird, Co-Found and Managing Director of Financial Services for BankersHub.com and Darryl Demos, the Managing Director of Novantas, to discuss how physical branches are making changes to stay relevant in a digital world, and the strides that banks are making to make the experience seamless no matter which screen you use. Darryl Demos Managing Director Darryl has over 2 decades of experience as a financial services productivity expert. He has participated in some of the largest bank productivity and transformation programs across the globe. His expertise in sales and service enhancement, workforce optimization and process reengineering has delivered hundreds of millions of dollars of lift for all types of financial services organizations. He also successfully founded a firm Demos Solutions which he sold to Witness/Verint before joining Novantas.